A national collaboration investigating a cross-agency ‘joined up’ approach to the needs of prisoners with mental health needs on and immediately after release, has received additional funding of almost £290,000 to continue its work for another 10 months. Follow up will now be extended from six to 12 months and a more comprehensive economic analysis will be carried out. 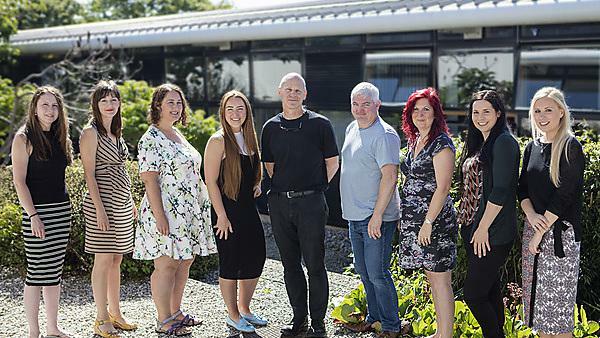 The collaboration, called Engager 2, is between Plymouth University Peninsula Schools of Medicine and Dentistry (PUPSMD), the University of Manchester, University College London and the University of Exeter. It has already received funding in the region of £2.2 million from the National Institute for Health Research (NIHR) Programme Grants for Applied Research (PGfAR), which has also supported this latest funding. The project is also supported by the NIHR Collaboration for Leadership in Applied Health Research and Care in the South West Peninsula (NIHR PenCLAHRC). The project aims to develop and evaluate a way of organising care and support for about to be and newly-released prisoners based on an integrated approach involving therapy, medication, housing, training and employment, and ensuring that care continues after release. Phase one included the project team working with eight men who had served prison sentences. As ‘peer researchers’ these men contributed their life experiences to the research project. They were able to use their experiences of being in prison, and of the challenging times they experienced when they were released, to support, inform and even challenge the research team. They worked alongside the academic researchers to develop the proposed system of care, agree measures to evaluate it and advised on how best to phrase the written materials that participants were given. The second, ongoing phase, is a randomised control trial in which half the 280 prisoners receive the new integrated approach while the others receive the care that is usually available. The additional funding will enable the team to follow-up the prisoners involved in the study for an additional period of time, allowing them to investigate the longer term impact of the initiative. By collecting information related to people’s health, the healthcare they have received, improvements in their social situation (including housing and employment) and their involvement or otherwise with the criminal justice system, the research team can evaluate the effectiveness of the new integrated approach by comparing it with the results achieved by the usually system of care. As well as investigating the benefits to released prisoners with mental health problems, the research team will also assess the economic impact of the new integrated approach to see if it results in savings to the public purse.